HDRi Light Baker is template made in Cinema 4D using xPresso abilities, and allows you to generate your own 360 HDRi lighting. You can choose between 8 light shapes and 4 light styles, change up to 13 options per light and add up to 4 light groups. All this on one place. Create clean and fast HDRi studio lighting for your 3D software in just minutes, bake it and test it in our HDRi Preview Setup Files. This Product will be updated gradually, new features will be added. 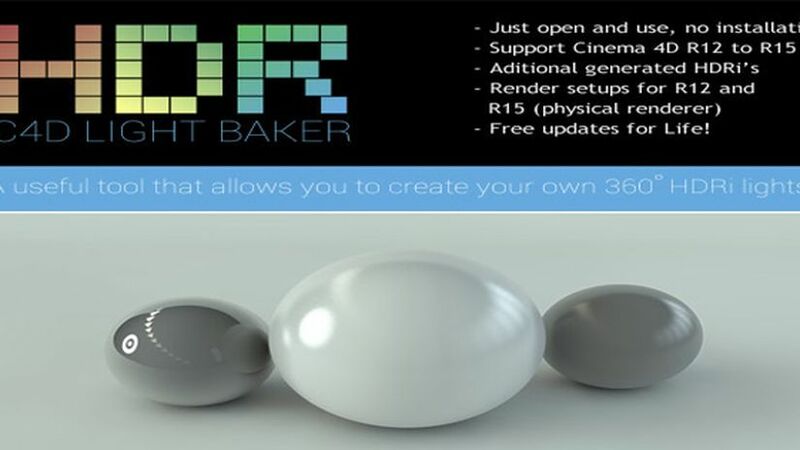 HDRi Light Baker project files for Cinema 4D R12 to R15. HDRi Studio Preview setup for R12 to R15. HDRi Studio Preview setup for R15 Physical render. Aditional 5 generated hi-res 360 HDRi’s for lighting your scene.